The second section of metro Line 5 from Zara to Garibaldi opened on 1 March 2014, adding two new stations, Isola and Garibaldi, to the “lilla” (“lilac”) Line 5. Milan’s mayor Giuliano Pisapia and transport operator ATM’s chairman Bruno Rota attended the opening ceremony, together with more than 60,000 persons who filled the trains up with enthusiasm and curiosity as they ran between the two new stations for the first time. Outside Garibaldi station, Gae Aulenti square – lighted in liliac for the occasion – hosted the performance of Kataklò athletic dancers. Trains on the whole metro network ran until 2 AM. 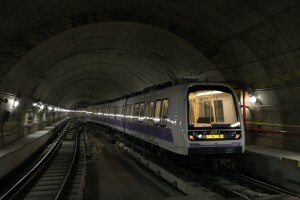 Line 5, the first fully automated – driverless – metro line in Milan, operated by ATM, opened in February 2013 from Bignami to Zara (4,1 km) with 7 stations and 6 minutes headway, achieving a service availability close to 100%. 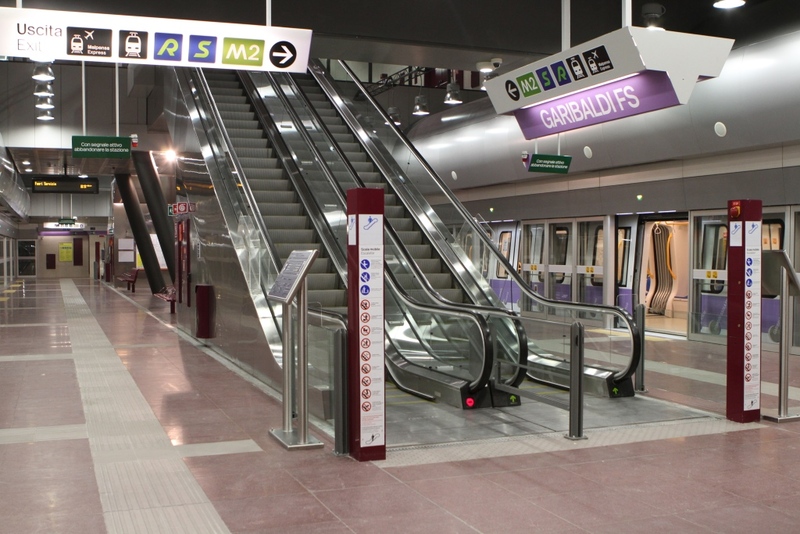 The 2 km new extension provides a connection at Garibaldi station with metro line M2, the Garibaldi railway station, including the city tunnel, and several tramways. The new Garibaldi hub also allows interchanges with suburban and regional trains, with high speed trains (Frecciarossa, Italo and TGV) and the Malpensa Express (airport shuttle), making the new Porta Nuova/Garibaldi district one of Europe’s best connected hubs. The new extension also connects the old neighborhood of Isola, an historic quarter once inhabited by the working class, which is now facing a complete re-qualification with the installation of pedestrian and cycling areas, new parks and cultural centres. With the opening of the new extension of the “lilla” Line 5, trains now run every 3 minutes during peak times and from 4 to 6 minutes in off-peak times. Revenue service no longer finishes at 22:00, but goes up to 24:00, as it is on the whole metro network operated by ATM. During the first days daily ridership increased by more than 40% on Line 5, carrying more than 50,000 passengers per day (from the previous 30,000 per day). 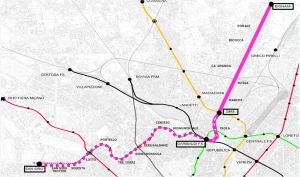 Milan’s metro network increased from 101 to 103 stations and from 92 to 94 km, confirming the recent great development of the metro network which will experience significant increases in ridership during the 2015 Expo period. The final stage of Line 5 will open in 2015, reaching altogether 13 km and 19 stations. 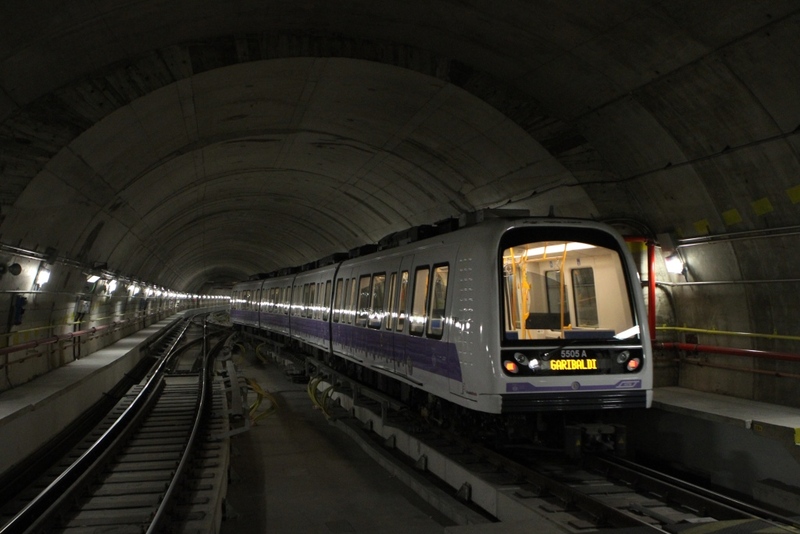 The line will connect San Siro stadium and provide a connection with metro line M1 in Lotto and with the suburban trains in Domodossola. 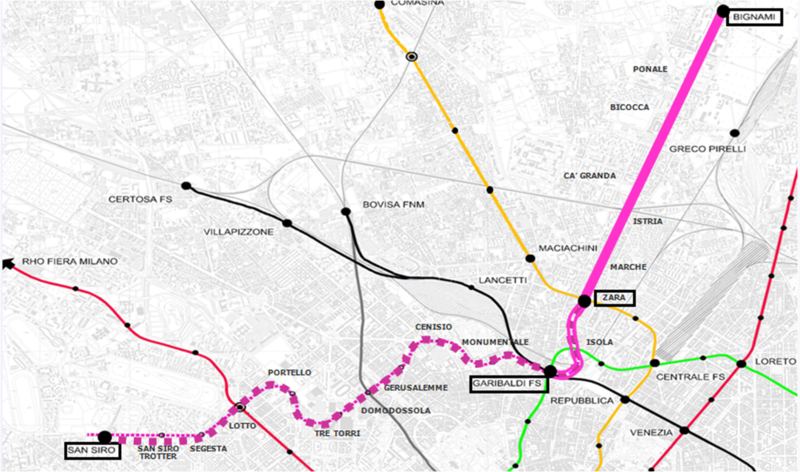 Line 5 is the first example of Project Financing for metros in Italy. The new line was designed and constructed by the consortium Metro 5 SpA, which has appointed ATM for the operations and maintenance of the line for 29 years. Since 2008, ATM has been operating similar technologically with Copenhagen metro in Denmark, gaining an important know how on the O&M of driverless systems. Line 5 is equipped with an ATC system enabling a fully driverless operation, supervised by the centralized control room. 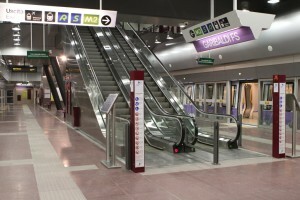 Stations are equipped with platform screen doors. Trains can carry up to 536 persons, with 72 seats and 2 spaces for wheelchairs. The system enables to carry more than 10,000 passengers per hour per direction. Stewards are located along the line with customer service tasks and aid recovery systems in case of incidents.